When you hear that a band carries the name Refrigerator, what would be the first thing that comes to your mind? Well, you got two options - the first one is something heavy (and cold), particularly at the bottom (in musical terms, a really heavy rhythm section, I guess), indicating anything from ‘simple’ heavy rock to any form of metal. The other possibility is anything cool, music-wise, probably on a more gentle side, that will refer you to a place like, for example, a desert. And if the name of the album, High Desert Lows is not a solid indicator enough, listening to it will make sure that you can (with some solid, spiky guitar solos) freely opt for the second option. Not enough? Take a look at the band photo and you’ll certainly know where you are. The guys are obviously no spring chickens (who cares?) and then comes the fact that they are certainly not a household name with most music fans, yet High Desert Lows is their 11th album (in 27 years!) so far. But is that really so? Go into a bit more detail and you see the name of Shrimper Records founder Dennis Callaci (is he responsible for those guitar solos? ), and writer/author/vocalist Allen Callaci, as well as the indie-folk mainstay from the Eighties Simon Joyner, who is the producer here. So with all the possible surprises turned into facts, what do we get on High Desert Lows? 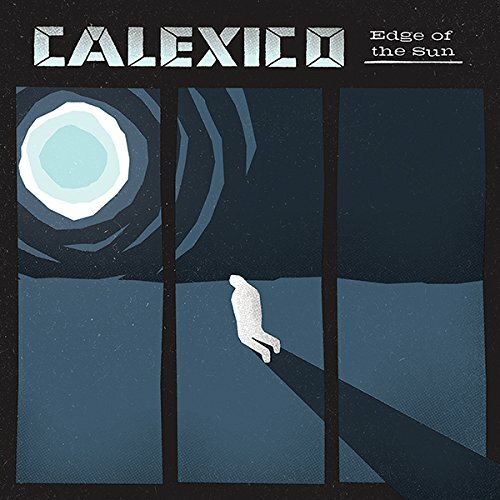 A great country rock/folk that spans all that has been going on in the genre since the early Eighties up to today - from Giant Sand (and its later offshoot Calexico), through Green On Red, to Will Oldham and all the modern variations of the aforementioned. Given how long these guys have been working together, it is no wonder that they have it all in their pinkie fingers, whether it is the languorous, but certainly not lazy, gentle moves of the title track and tracks like “World of Warcraft” or a bit of a more uptempo (in the general sense of the term) mood in “Break Up The Band”. Throughout, the sound is laced with some usual (pedal steel) and not so usual instrumentation for this kind of music, cellos, violins (not fiddles), vibraphones, subtle electronics, everything that actually freshens the sound. Calexico - HMV Forum, London.